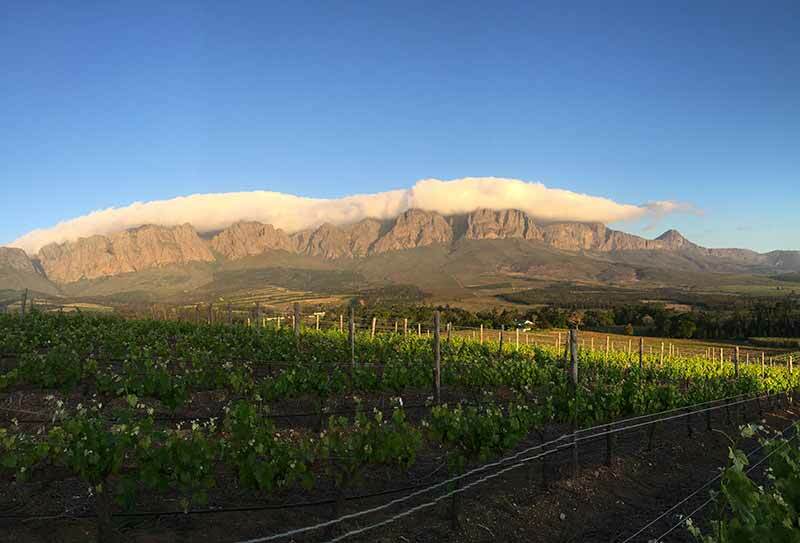 Lourensford Estate is one of the world’s most beautiful wine estates, with the Hottentots Holland and Helderberg mountains framing 4 000 hectares of land. Of the 4000 hectares, 1200 hectares is Fynbos with farmed Proteas, forestry, fruit orchards and vineyards making up the remainder. No wonder this idyllic spot is home to the majestic Cape Leopard (Panthera pardus pardus). Our vision is one where economic stability and environmental sustainability form a profitable partnership. So we accept full responsibility for the management of our rich biodiversity, while pursuing fruit, grape and wine production. Our efforts are recognized by WWF’s Conservation Champion Programme (previously the Biodiversity and Wine Initiative) and by the Nedbank Green Wine Awards. 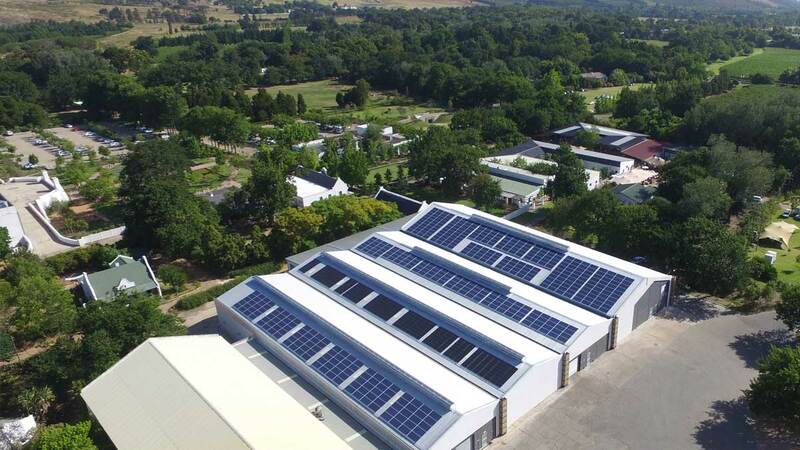 To underline our commitment to sustainable wine growing practices and to reduce our carbon footprint, we installed 686kWp solar photovoltaic (PV) systems on the roof of the winery and the pack shed. 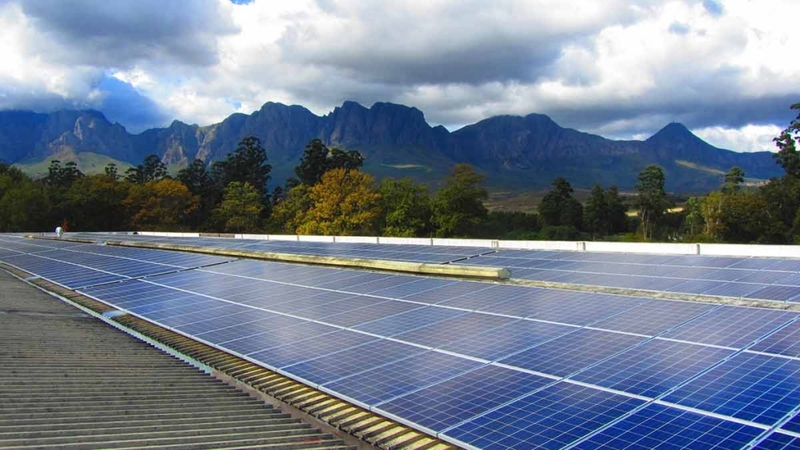 The solar power plants, installed by Sustainable Power Solutions, generate 2800kWh daily, enough to run the winery with the surplus fed to the grid supplying the rest of the Estate.The solar plants contributed to Lourensford being named Best Farming Practice Winner in the Leadership in Energy Conservation category at the Nedbank Green Wine Awards 2016 for the second consecutive year. Great emphasis is placed on the conservation of the estate’s unique biodiversity and rich floral heritage. A WWF Conservation Champion since 2006, the estate actively manages its 1200 hectare biodiversity area, which is made up of Cape Winelands Shale Fynbos and Boland Granite Fynbos, both of which are endangered vegetation types and hold many red-listed species. 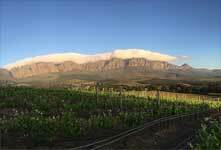 The farm also holds mapped areas of the critically endangered Lourensford Alluvium Fynbos and pristine pockets of Afromontane forest. These areas are monitored by the estate as well as the Custodians of Rare and Endangered Wildflowers and 300 species of plants and trees have so far been recorded. The estate has well over 100 bird species recorded with surveys and updating of mammal, reptile and amphibian species lists happening on an ongoing basis. 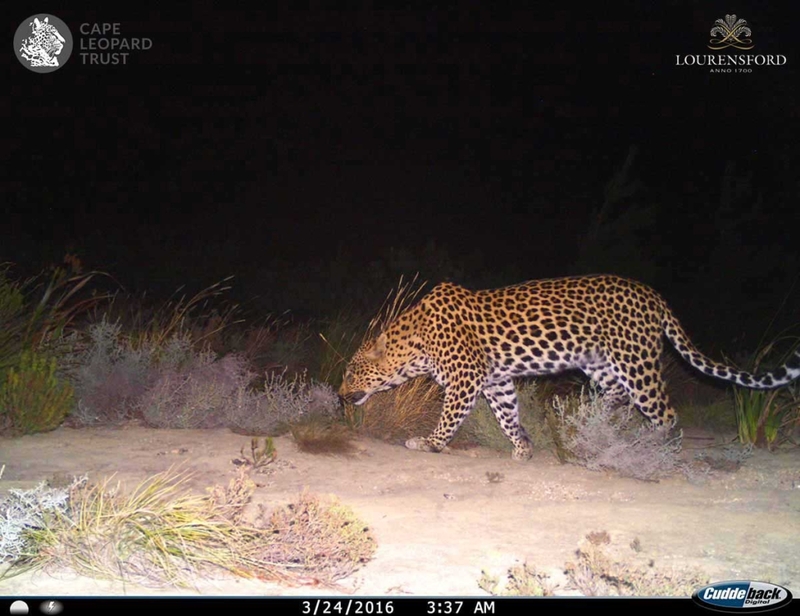 In association with The Cape Leopard Trust’s Boland Leopard Project, a monitoring programme for the Cape Mountain Leopard is ongoing. 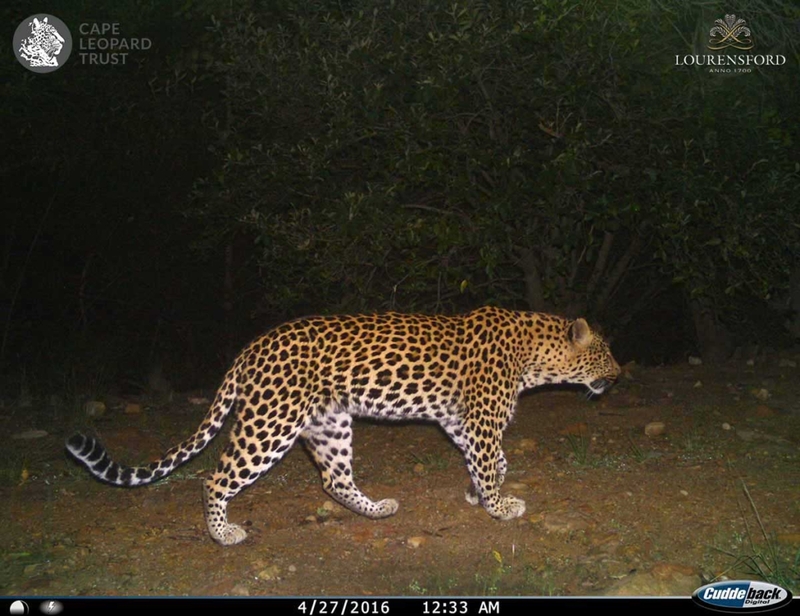 With seven motion sensitive camera traps in place, the estate contributes to one of the projects objectives of determining how many leopards still roam the mountains of the Boland. 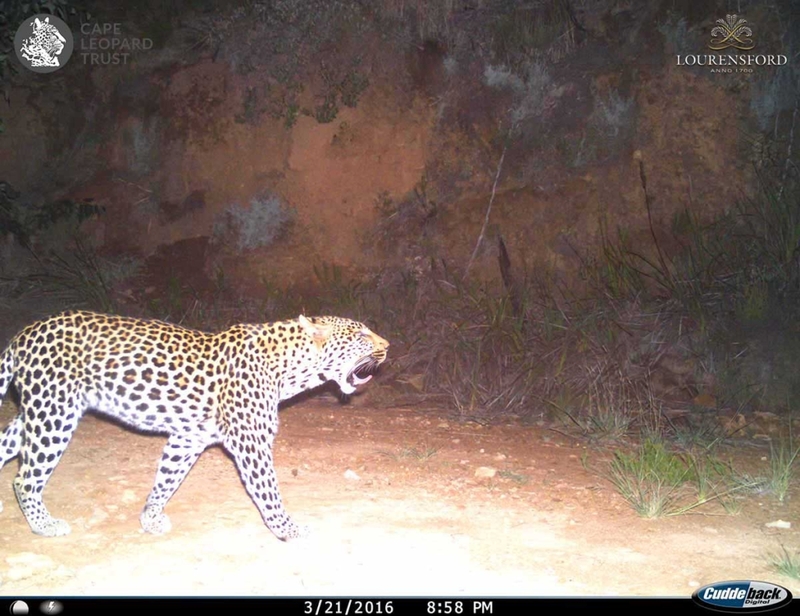 The estate forms an important corridor for the movement of the leopard and other wildlife, allowing connectivity between protected areas. 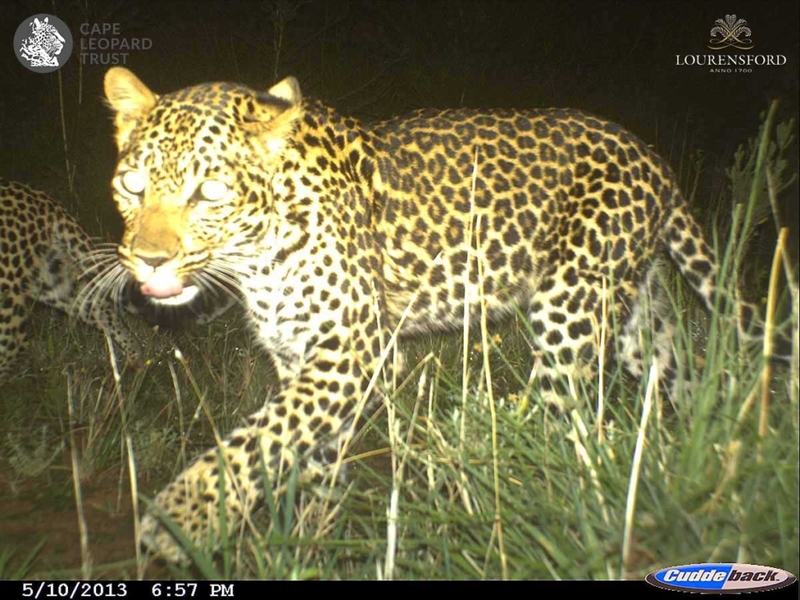 The estate is also involved in the Leopard Trusts’ environmental education programme. An alien vegetation clearing project was started in the mid-2000s to rehabilitate the upper reaches of the Lourens River as well as restoring wetlands and indigenous Afromontane forest; with alien vegetation being one of the biggest threats to biodiversity, this plan continues today and provides employment to the local community. The source of the Lourens River and its pristine upper reaches lie on the farm; of all the rivers in South Africa, the Lourens River is the only to be declared a Protected Natural Environment and thus the responsibility of managing the river responsibly is taken seriously. The watercourses and natural areas are also a vital tool for environmental education whereby school groups and farm workers are encouraged to take ownership of protecting the environment in their area. This is also reinforced on interpretive signboards on the estate. 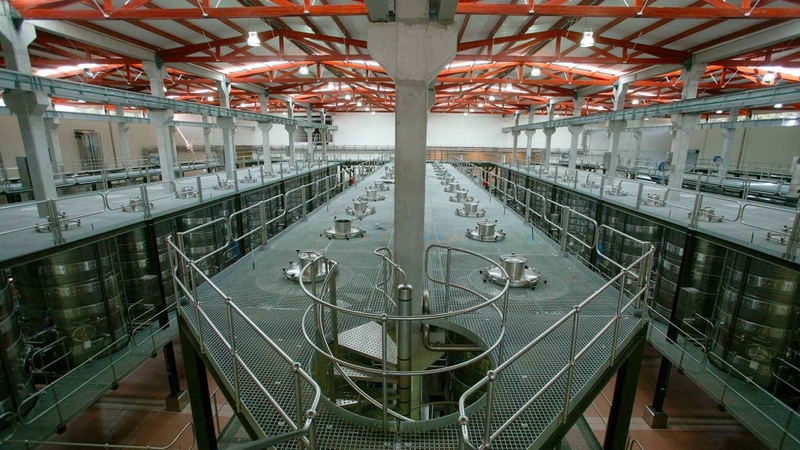 Lourensford is in the very fortunate position to be self-sufficient with water supply. We have a network of catchment dams on the property, and have no water connection from City of Cape Town. The areas higher up against the mountain is also one of the highest rainfall areas in the Cape, and we have had sufficient rains in winter 2017 to fill our dams to full capacity. We draw no water from the Lourens- or Landdrost-rivers. However, this does not mean we are reckless with water usage: our main activity is agricultural, and we need to plan our irrigation or water usage very careful to be able to protect crops, vineyards and orchards. This is done very scientifically with computerized neutron moisture meters in the soil, to calculate minimum water requirements. The gardens, which uses less than 10% of our water supply, are also on a computerized irrigation system. Lourensford Estate has recently started a worm farm to meet each and everyone’s worming needs from households on the farm to the farming needs. In our changing environment we should all try and recycle our organic waste and it is fantastic to see how businesses, restaurants, schools are starting to recycle organic waste while turning their waste into rich fertilizer. Worm farming is a win-win situation for all. Today we have a large, locally produced, worm farm on the Estate. All products can be adapted to suit each and every client’s personal needs. A home worm farm is easy to set up and easy to maintain and we are also there to assist you where we can with either a phone call or email. Recycling with composting worms is easy, fun, and can even generate an income. Helps in the fight against climate change and has many other benefits. If more people in South Africa got involved in worm farming, we would have a lot less material going to landfills. 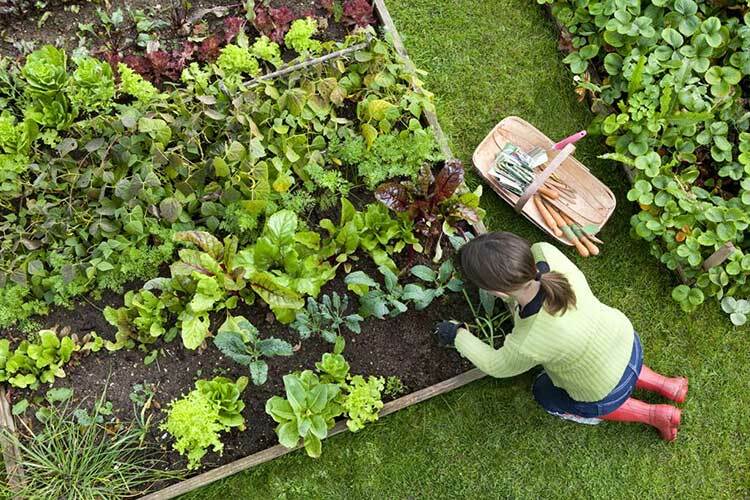 Contact us to buy worm compost, pure vermicast for pot plants and soil conditioners or start your own worm farm.